Neon Sign from the 1970's - where is it now? 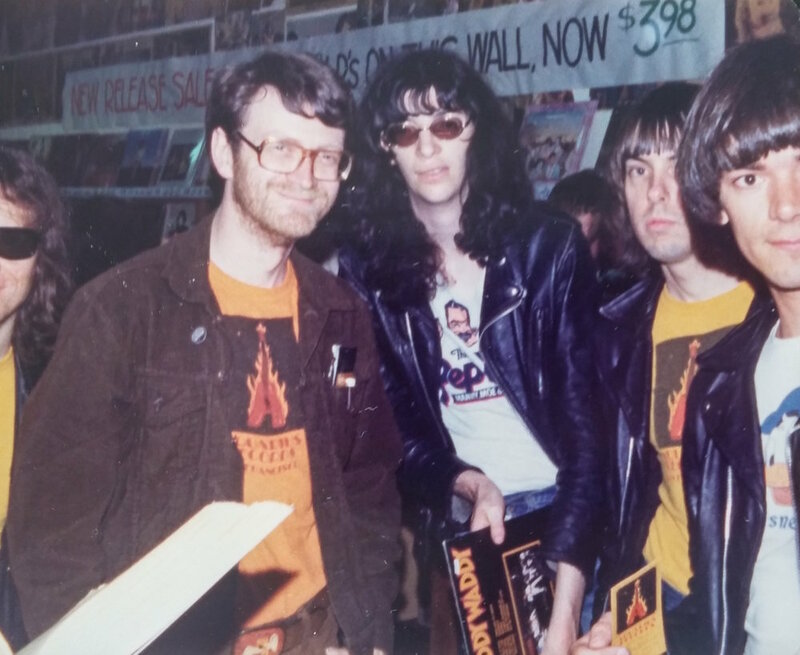 One of the times that The Ramones visited aQ. Chris and Butch, hangin' with Mr. Costello. 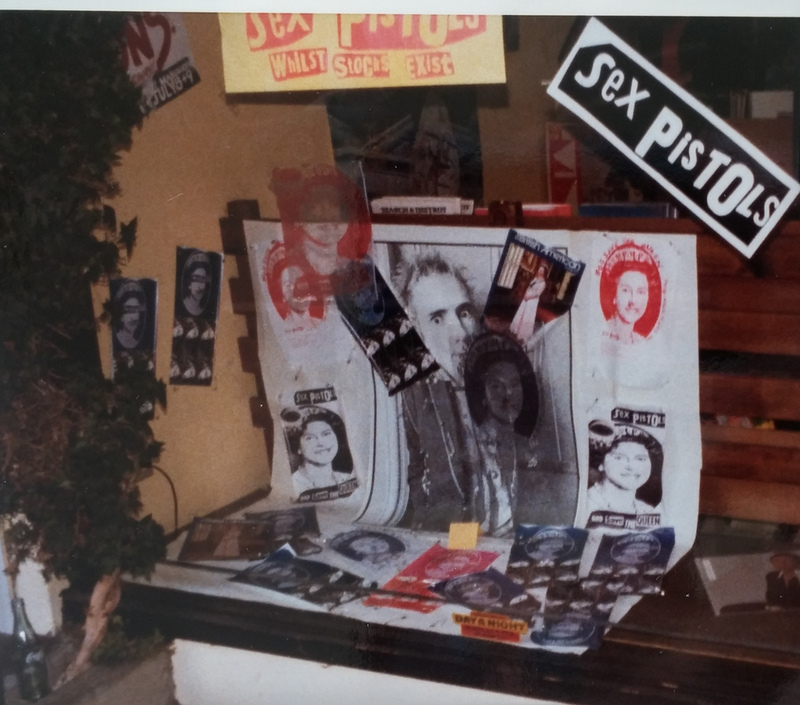 Little promo card for the store, early 70's. Chris Knab having fun with The Damned. aQ's classic zine, promoting new and underground music... much like their email lists of the 90's - 2000's! 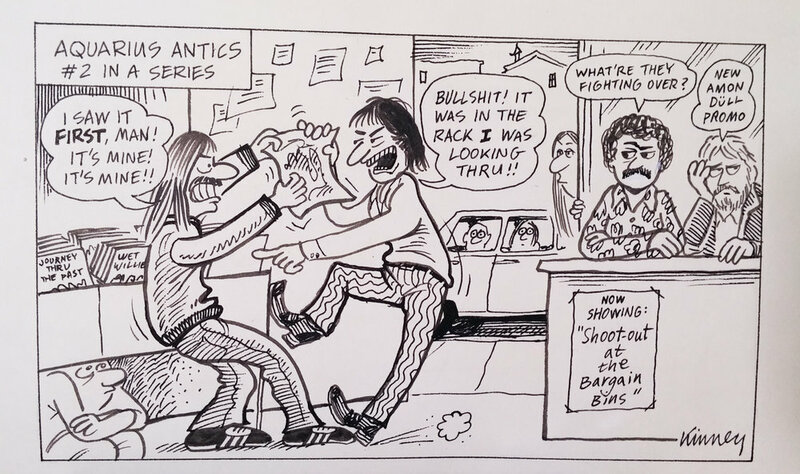 classic 1990's promo of the store, with the employees' black metal alter-egos. 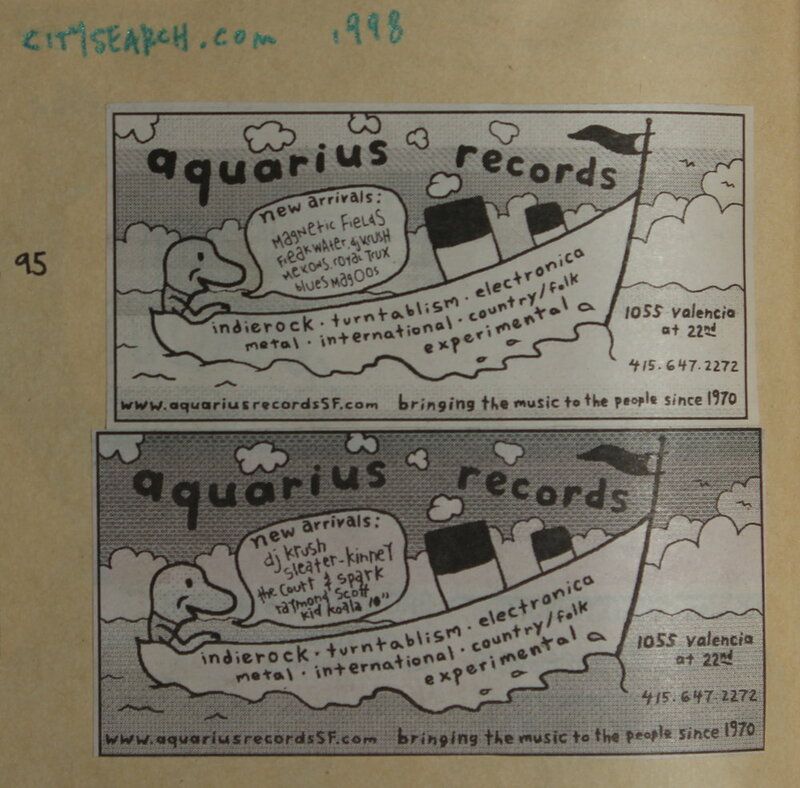 Rad newspaper ad from the 90's - so cute! And such killer music getting released! 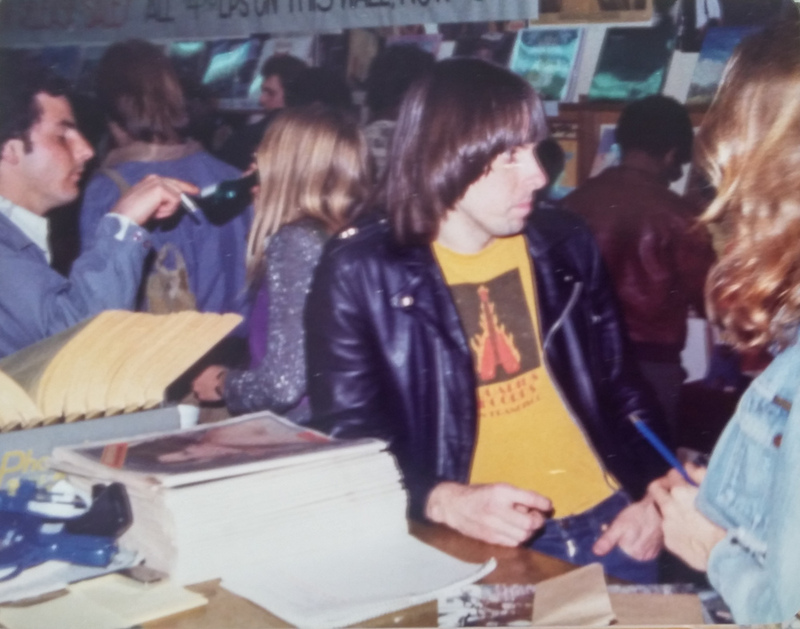 70's owner, Chris Knab, hosting a visit from The Ramones!